Our laser machines deliver the majority of our regular work – combining a high quality finish with excellent reliability and cost effectiveness. We operate 2 Bystronic lasers up to a maximum size of 3m x 1.5m, with which we cut mild steel, stainless, aluminium, brass, copper and titanium. 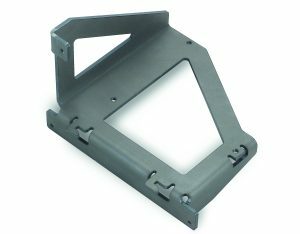 We cut to tolerances of +/- 0.1mm (depending on thickness) and cut holes starting from the same diameter as the material thickness. If you are based in southern England or Wales including, Devon, Cornwall, Somerset, Dorset, Wiltshire, Hampshire, Monmouthshire or Glamorgan and require more information please email us at sales@laser.co.uk or call 01752 841700. Not only can Laser Industries cut sheet metal with precision, we can also fold the metal as well. With our Bystronic 50 tonne press brake, we have the capability to fold metal in a variety of shapes and quantities. Our aim is to provide a complete range of services to satisfy individual clients needs. 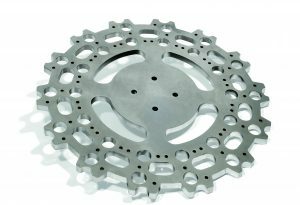 Combining state of the art fibre laser cutting technologies with our in-house metal folding service, we can create custom parts with the upmost accuracy and speed, ensuring we deliver value to our customers. Our focus on quality and service makes Laser Industries a leading supplier for Devon, Cornwall and Southern England, call our team on 01752 841700 to discuss your project. Since 1999 we have based our entire operation on providing exceptional quality, a fast turnaround and outstanding customer service. Several existing customers treat us as an extension of their core business, letting us take care of ordering, purchasing, offloading, storing and handling on their behalf. 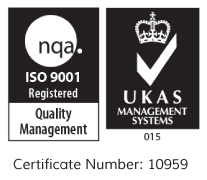 We ensure we always work to ISO 9001/2015 quality standards.